Sourced from a local bulk importer the Ethiopian Sidama G2 is a heirloom grade 2 sourced indirectly via ECX (Ethiopian Commodity Exchange). Sidama is a southern region of Ethiopia, north east of the Lake Abaya and southeast of Lake Awasa. The region is named after the Ethnic people that live in this area. A region that is one of the leading areas in coffee production and is considered an important part of the Ethiopian coffee production. The coffee from this region has been called Sidama and Sidamo, and is relatively well known through out the coffee world. 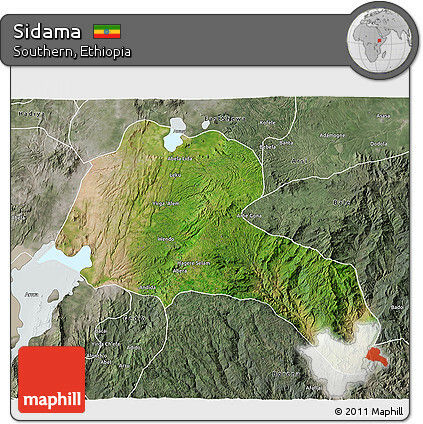 The term Sidamo normally refers to the people of the region, while and the coffee and region is called Sidama. Coffee from this region is well known for its rich body and almost earthy aftertaste. To be brief the Sidama economy is based largely on legacy subsistence agriculture. However, a substantial area of the Sidama land produces coffee, the major cash crop in the region. Consequently coffee has been the major source of income for the rural households in the coffee producing regions. It should be noted that Sidama supplies an estimated 40% of washed coffee to the central Ethiopian coffee exchange. In short this represents a large piece of the washed coffee market in Ethiopia. The Sidama people have never faced major hunger and famine until very recently. Due to reliable rainfall and evergreen land area, they were always able to produce enough to ensure food security. Due to the fact that this society has been characterised by what one may call a low level economic equilibrium. Even the 1984 great famine that hit all other parts of the country did not have a major impact on the Sidama land. However, a continued dependence on subsistence agriculture, which relies on archaic technology and vagaries of nature coupled with massive growth of rural population, and limited rural development, made the Sidama land prone to frequent hunger and famine recently. Thus, it is not surprising to see that, today, about one-fourth of the total population in Sidama is directly or indirectly dependent on food aid from the international community. Growing Conditions: Shade grown above 1200 meters in soil that is 50% volcanic and 25% sedimentary. Harvest is October – December. Processing: Wet-processed, solar dried on African beds. Climate: Light Rain Season: January / February, Heavy Rain Season: June / September. Grade/Quality: An ECX (Ethiopian Coffee Exchange) Grade 2 coffee, that is size and profile graded. We do not consider this coffee a specialty grade coffee. Roast profile: Turn with intense flame dropping off after 3 minute, then a gentle ramp to first crack, dropped as first crack calms.